Microsoft on Wednesday published a new preview build (version 15031) for Windows 10 Insiders that, among other things, adds a new Compact Overlay option that’ll allow certain windows to always be shown above any other open apps or windows. Dona Sarkar, leader of the Windows Insider program at Microsoft, said inbound updates to the Movies & TV app and the Skype Preview app will offer the option to permanently surface those windows above all others. If you need to pop in to check your e-mail or are actively browsing the web but want to keep watching a show or keep an eye on your video chat, for example, Compact Overlay mode will accommodate without you having to shuffle around windows or add extra displays. Or in other words, it’s picture-in-picture mode. 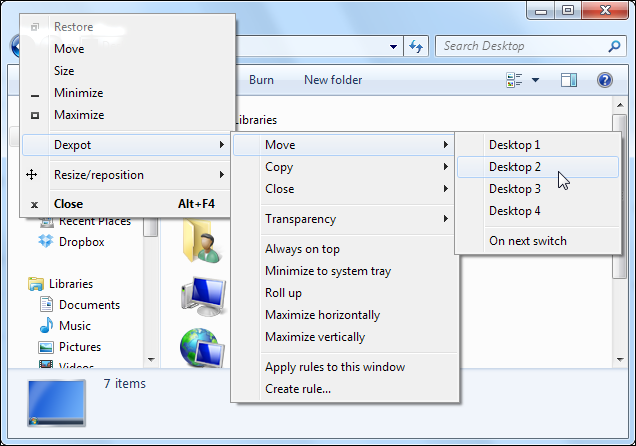 Another new feature, Dynamic Lock, automatically locks your Windows 10 PC when you step away. Leave the office to grab lunch? If your smartphone accompanies you on your journey and is linked to your PC via Bluetooth, Dynamic Lock detect that the phone is no longer in close proximity to the computer and lock it down after 30 seconds. Other quick-hit changes in the update, which happens to arrive on Windows Developer Day, include a new Share icon and the addition of 52 additional games in full-screen mode with Windows Game Bar. There’s also a laundry list of smaller changes, improvements and fixes in Sarkar’s post alongside a dozen known issues that persist. If Dynamic Lock takes 30 seconds why not just set the screensaver or similar to lock after that amount of time? Lol. But hey, this is all in the name of that magical "innovation" thingy right. It must be. I mean, just look at how advanced this OS is - Now you can overlay Windows, over other Windows and over some Windows permanently even, IN WINDOWS! Hawt Damn son! Now, I never normally leave the house, but my goodness, even I can see how that requires AT LEAST a Bachelors degree to come up with! I have a great overlay for Windows 10. The best in fact. It's called Linux. 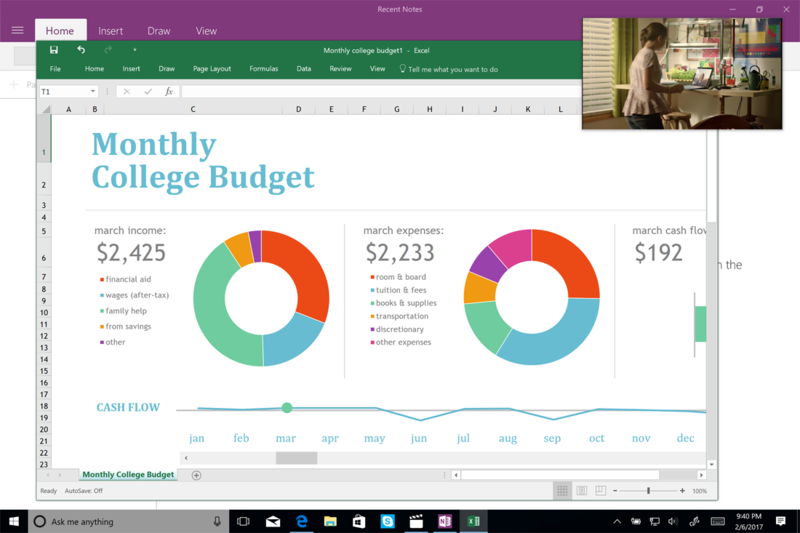 "Microsoft on Wednesday published a new preview build (version 15031) for Windows 10 Insiders that, among other things, adds a new Compact Overlay option that’ll allow certain windows to always be shown above any other open apps or windows." "Another new feature, Dynamic Lock, automatically locks your Windows 10 PC when you step away." So it's remarketed "require password on screen-saver" then also present since Windows 95? (Except that if you leave your PC unattended and you forget to take your phone with you, then it's even less secure than a simple inactivity timer (or hitting WIN + L)). If Dynamic Lock takes 30 seconds why not just set the screensaver or similar to lock after that amount of time? Thirty seconds of inactivity is not the same thing as walking out of range. I'd rather not use a security measure than be harassed every 30 seconds. But then I wouldn't want my PC's OS to be permanently locked either, all because something happened to my cellphone. This is pretty cool actually. The overlay feature seems nice. Well done MS. Hopefully it isn't super buggy though. We suggest to our business customer that when they step away from their computers to press the Win + L keys to lock the machine. It's quick and leaves the user in charge. cliffordcooley and BSim500 like this. That's not being blunt, that's a fact but unfortunately that will never, ever happen. I don't want to sound rude but when you buy a car do you buy a steering wheel from one manufacturer, the seats from another and so forth? A more plausible solution is to have companies like M$ chuck everything into the pot but let users decide what to uninstall, sadly that too will never, ever happen. It's not an ideal world and never, ever will be. Did I forget to use the term never, ever in this reply? So biatching about something that YOU need to turn on, is cool? It's just two options. Microsoft isn't holding a farking gun to your head to even use them. I'm on build 15031 right now, and I have no plan to use them anytime soon. when you buy a car do you buy a steering wheel from one manufacturer, the seats from another and so forth? I don't know for a fact, that is not the case. I'm almost certain the majority doesn't know either. ... That's not being blunt, that's a fact but unfortunately that will never, ever happen. I don't want to sound rude but when you buy a car do you buy a steering wheel from one manufacturer, the seats from another and so forth? Look up the 1969 Consent Decree that IBM had to sign. It had to sell the "steering wheel", the hubcaps, etc., separately (although it was allowed to bundle the engine and the transmission). Even though it had more competition, the government considered it had an unfair market advantage. For years, MS has run roughshod (IMO) in the PC market with Apple having been only faint resemblance of a competitor (pre iPhone, iPad, etc.). It is also my opinion if IBM had never been restricted and forced to "unbundle", you would not be discussing Windows 10 and MS today.